Women's tennis currently is extremely different as compared to the past — but I believe this is just the start of a new, golden era for the sport. 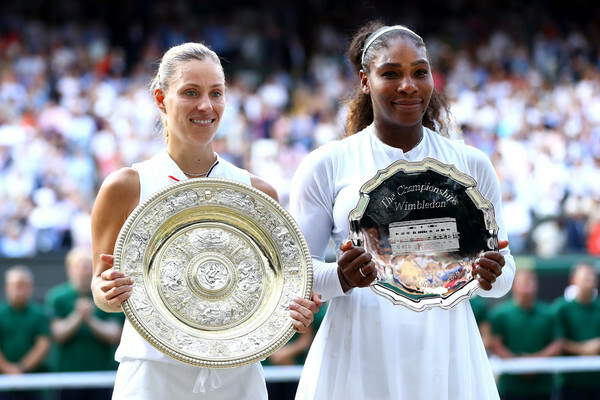 One could say that women’s tennis is headed towards a correct direction, especially after the conclusion of the 2018 Wimbledon Championships. The resurgent Angelique Kerber finally seemed to get over a horrifying 2017 and bounced back to claim the third Major title of her career, while it also marked the return of 23-time Grand Slam champion and the legendary Serena Williams. On paper, it was the worst performance put up by top-10 seeds in the history of Wimbledon, with none of them reaching the quarterfinals. However, looking at it from another perspective, it simply shows that there is a huge depth in the current WTA field, with many lower-ranked players taking their chances and raising their levels against the renowned players. At this rate, the future of women’s tennis is immense especially with the depth of field coupled alongside the quality of the matches. There are currently six players born after 1990 who had won a Grand Slam, while only one member of the top-10 is over the age of 30. Nonetheless, this generation of players is still going strong, with the likes of the former “WTA Big Three” still active and competing for the biggest trophies in the sport. Wimbledon saw many youngsters performing excellently on the big stages. 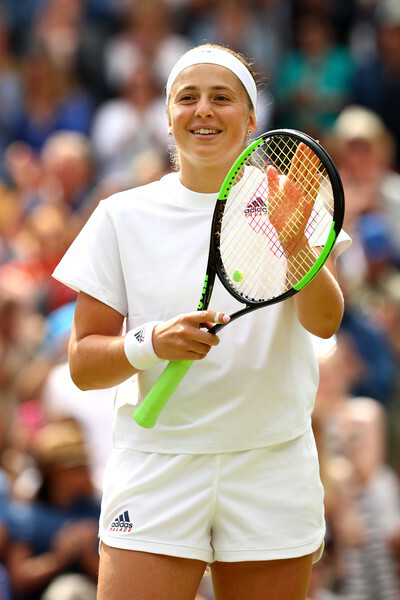 Jelena Ostapenko — who already won the Roland Garros trophy on her 20th birthday last year, reached her second Major semifinal last week at Wimbledon before falling to eventual champion Angelique Kerber. Ostapenko has proven with her run that her results are no flukes, and the Latvian definitely owns a bright future as she nears a return to the top-10. Ostapenko fell in the opening round during her Paris title defence but showed great maturity when she bounced back to produce a fantastic run at the All England Lawn Tennis and Croquet Club. 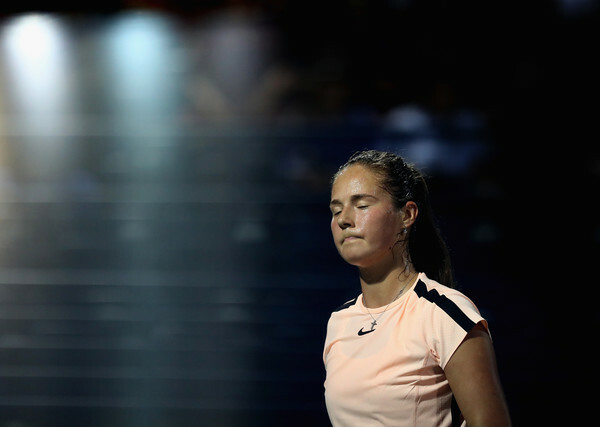 Daria Kasatkina, another rising star born in 1997, was a win away from making her top-10 debut thrice this year, namely the Indian Wells, Roland Garros and Wimbledon quarterfinals. Coincidentally, these three matches were the biggest ones in her young career, alongside the three other Premier finals she reached earlier. Kasatkina has a unique playing style, with some making references to that of Rafael Nadal’s, and she calls herself an “artist” as well. The Russian already owns seven top-10 wins this year and is ranked seventh in the Porsche Race to Singapore leaderboard, being in the driving seat to qualify for the WTA Finals in Singapore. Other notable youngsters who reached the second week at Wimbledon are Belinda Bencic and Naomi Osaka. Coincidentally; Kasatkina, Bencic, Ostapenko and Osaka all lost to the eventual champion and current world number four Angelique Kerber. Bencic upset the sixth seed, Caroline Garcia, while Osaka is starting to live up to her dark horse credentials recently, claiming the title in Indian Wells for a top-20 debut. Furthermore, the Swiss was part of the top-10 in the past before injury derailed her progress while the Japanese is tipped to take charge of Asian tennis over the retired Li Na, and she is currently the highest-ranked Asian player as of now. The only player to take a set off the champion at Wimbledon this year was surprisingly Claire Liu, the 2017 girls champion and a qualifier in this year’s main draw. Liu, currently aged 18, is making her first appearance in the main draw of a Grand Slam and earned a terrific victory over defending quarterfinalist Ana Konjuh before coming close to upsetting the 11th seed Kerber. Iga Swiatek, the champion in girl’s singles this year, stunned top seed Whitney Osuigwe in the opening round before defeating sensation Wang Xinyu en route to grabbing the title, despite being ranked 76th in the ITF Junior Rankings and not being too prominent before the tournament. Despite so, she came into the tournament ranked 300th in the WTA rankings considering she is more active on the pro circuit instead of the junior tour. The world number one spot has been switched between two players throughout the year thus far. Simona Halep is the current world number one after losing it in the early stages of 2018 after falling to Caroline Wozniacki in the final of the Australian Open. Wozniacki showed an obvious dip in form and ultimately handed back the ranking to Halep, who held it since February. The four players on the rankings after the French Open (Halep, Wozniacki, Muguruza, Stephens) were the winners of the previous four Slams, and now after Wimbledon (Halep, Wozniacki, Stephens, Kerber), the four players at the top are still winners of the four Majors amidst what people call the “inconsistency” of the top players. There were also a bunch of other top players also competing to vie for the top spot and the big titles, though. Just to name a couple of them, former world number ones Garbine Muguruza and Karolina Pliskova has been title favourites in the big tournaments throughout the year, while Elina Svitolina is gradually shaping herself to dominate the field despite her struggles at the Majors. World number six Caroline Garcia and US Open champion Sloane Stephens both made their top-five debuts in the rankings after Wimbledon, and Angelique Kerber will be the new world number four. Petra Kvitova and Madison Keys, both hard-hitters with explosive but inconsistent games, are also title contenders for the Majors and has proved their title credentials with their recent results. The resurgence of Angelique Kerber has been incredible, with her unbelievable 2016 being followed by a disappointing 2017 which saw her fall out of the top-20. With the help of new coach Wim Fissette, Kerber is now the second-ranked on the Porsche Race to Singapore leaderboard and has a huge chance to grab the top spot in the latter half of the year. The performance of the top players, though, has been disappointing at this year’s Wimbledon, which leads me to my next point. Out of the 16 players who reached the second week in Wimbledon, astoundingly, nine of them were unseeded and looming. As compared to 2017 where only three unseeded players made the fourth round, the underdogs this year performed at an extremely high level. 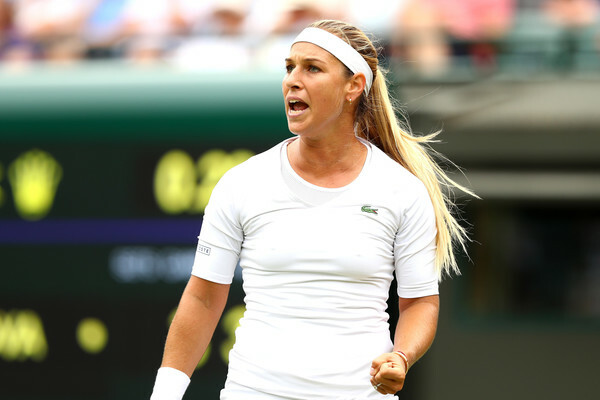 Dominika Cibulkova, former world number four and WTA Finals champion, was one of them. Due to injury struggles, she has experienced a drastic fall in the rankings and now finds herself outside the top-30. All the top-10 seeds, except for Karolina Pliskova, was beaten in the opening week. Top-ranked Halep was stunned by Hsieh Su-wei after missing a match point; Wozniacki was ousted by former top-10 player Ekaterina Makarova; defending champion Muguruza was kicked out by Alison Van Uytvanck; Roland Garros finalist Stephens was beaten by Donna Vekic; Svitolina was upset by Mallorca champion Tatjana Maria; Garcia was overwhelmed by Belinda Bencic; huge favourite Kvitova exited in the first round at the hands of Aliaksandra Sasnovich; defending finalist Venus Williams shocked by Kiki Bertens and dark horse Madison Keys being stunned by Evgeniya Rodina. The underdogs all proceeded into the second week of the tournament with the exception of Tatjana Maria, and this perfectly showed how they backed up their huge wins and make use of the chances they earned painstakingly. The “inconsistency” of women’s tennis is now reflected in a good way — people often mention the adverse impacts of the top seeds falling early, but rather the lower-ranked players are able to make a name of themselves and put themselves in the limelight. 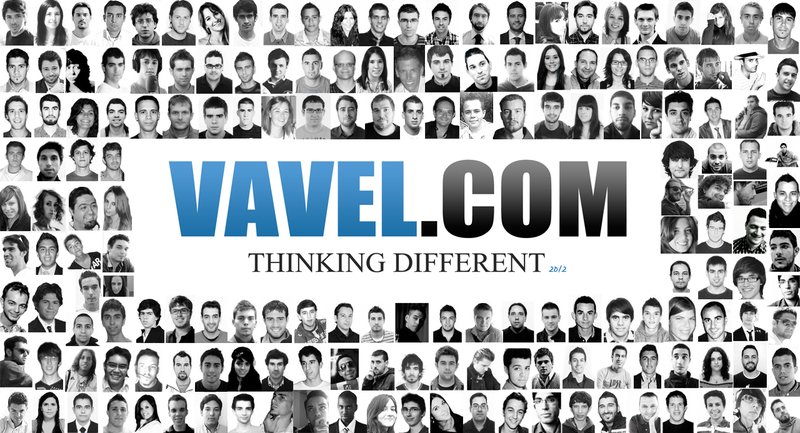 In this tournament, they were able to follow up their upsets and prove that their wins were no fluke. The past seven Grand Slams have been won by seven different players, an extraordinary phenomenon which had not occurred since 2012. With the big titles being shared amongst the top players, this shows that there are no signs of dominance though Serena Williams’ pregnancy was also a crucial factor which allowed this phenomenon to happen. The world number one ranking has been shared by five different players throughout 2017 — Williams, Angelique Kerber, Karolina Pliskova, Garbine Muguruza, Simona Halep. Often enough, the Grand Slams will have a long list of title contenders and the extra unpredictability added to women’s tennis makes the sport more interesting and exciting. The last time a player won a Major without losing a set was Serena Williams at the 2017 Australian Open, and since then, the winner has been challenged in a way or another en route to hoisting the trophy, reflecting how tough and tricky the field is. 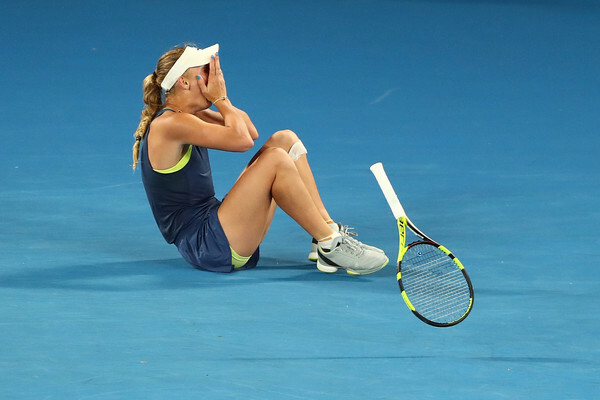 Just to name a couple of instances — Wozniacki had to save match points against Jana Fett in Australia; Halep had to come from a set and a break down in the final of Paris this year; Ostapenko had to recover from a 4-6, 0-3 deficit in her final against the Romanian last year; Stephens was two points away from defeat in the US Open semifinals. This gifts chances to everyone and increases the intensity of the matches, particularly between the top players. The lack of dominance may be positive or negative — depending on which perspective you stick with. However, it definitely brings us more entertainment and anticipation during tournaments. One look at the spread of high-quality matches in the opening rounds of the Grand Slams recently, and you can understand the depth of women’s tennis. 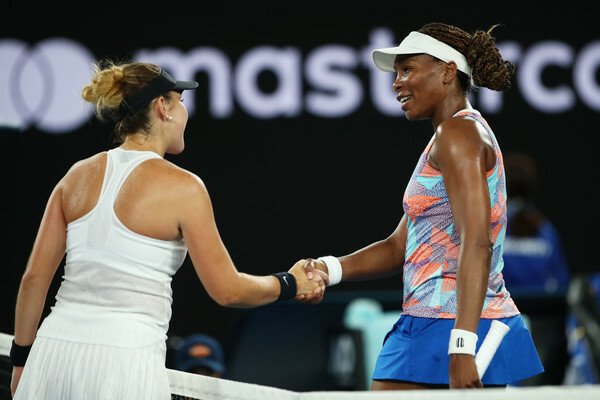 There have been an abundance of notable matches occurring in the early stages of the Majors with the most remarkable ones being: the clash between defending finalist Venus Williams and former top-10 player Belinda Bencic in the first round of the Australian Open; the battle of former Roland Garros champions Garbine Muguruza and Svetlana Kuznetsova in the opening round of the French Open. The last time a Grand Slam did not feature an opening-round match between current/former top-10 players was the 2016 French Open. Injuries derailed several certain players’ rise and caused them to be unseeded in the major tournaments. This paved the way for high-quality matches to be played in the first week of the Majors, with the classic between Ekaterina Makarova and Caroline Wozniacki being the freshest of them all. 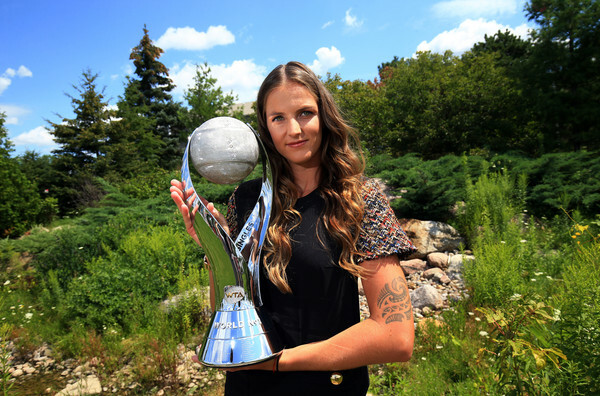 Karolina Pliskova also went up against Victoria Azarenka while Johanna Konta faced Dominika Cibulkova at the same stage. The quality of matches has been immense thus far — the encounter between Simona Halep and Hsieh Su-wei at Wimbledon provided the fans with a thriller while Halep’s incredible clay-court prowess en route to her title in Paris was a beauty to watch. Angelique Kerber has also provided us with some classics, especially with her underrated yet stunning 7-6, 7-6 win over Kiki Bertens at the French Open while claiming a good win over Daria Kasatkina en route to grabbing the Venus Rosewater Dish. Tons of other memorable matches came from this year alone, and just to name a couple of them — Kasatkina’s run to the Dubai final which saw her save match points against both Konta and Muguruza to triumph; Halep’s stunning 15-13 and 9-7 marathon final-set wins over Davis and Kerber in Melbourne respectively; Sharapova’s stunning three-hour triumph over Ostapenko in Rome; Venus’ amazing comeback against Bertens in Miami. Despite the incoming slaughter from the youngsters recently, the veterans are still going strong in their late-career resurgences. After various reasons which saw the “WTA Big Three” (Serena Williams, Maria Sharapova, Victoria Azarenka) experience a layoff from the court, they have successfully returned to the professional circuit and the trio is starting to produce a rise in the rankings once more. Williams and Sharapova are in the top-30 while Azarenka still continues to find her best form. 38-year-old Venus Williams continues to defy her age and after reaching two Major finals and the final of the WTA Finals in 2017, she managed to keep her spot inside the top-15 amidst a slightly underwhelming year thus far. Resurgent and playing mums on the tour have also managed to make an impact on the tour recently, with Evgeniya Rodina stunning Madison Keys to reach the second week at Wimbledon while Tatjana Maria defeated fifth seed Elina Svitolina in a terrific performance. The influx of youngsters and the relevance of the veterans are currently making the WTA Tour more fun as compared to the rest. The incredible depth and variety of players are leading women’s tennis in a correct direction, and I believe, this is the new era of women’s tennis coming our way.